Eddie P. is back — this time with the 60-foot-tall Memorial Cross on the campus of University of the South in Sewanee, Tennessee. The memorial was erected in 1922 to honor students who served in the armed forces. The cross is bathed in light at night and can be seen for miles away. updated: See the dark spots on the cross? 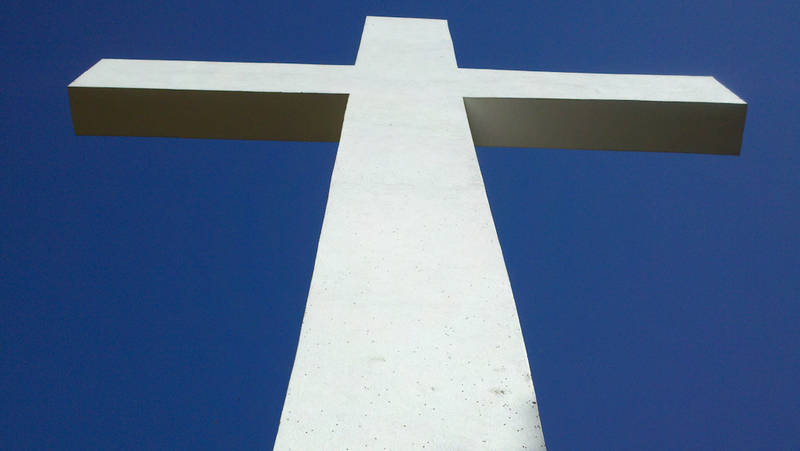 Eddie just told me that those are hundreds of ladybugs climbing on the cross. Talk about your good luck charms!